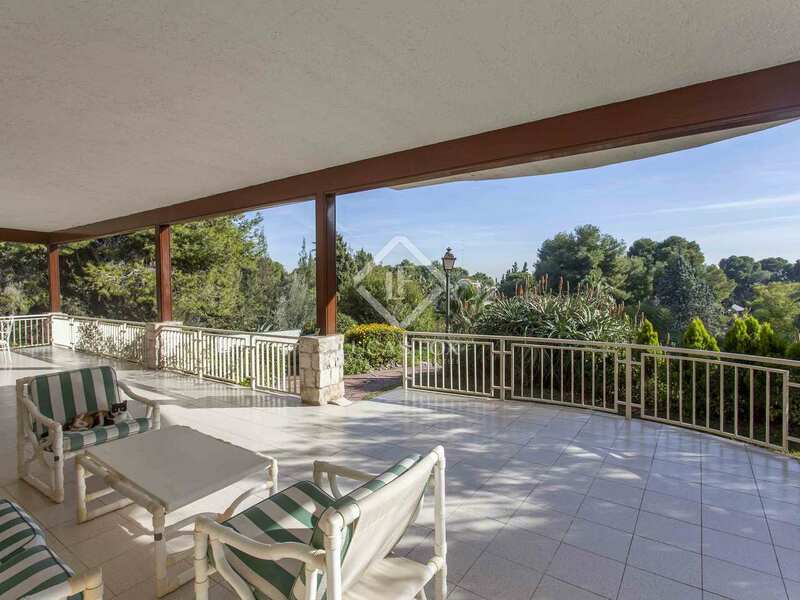 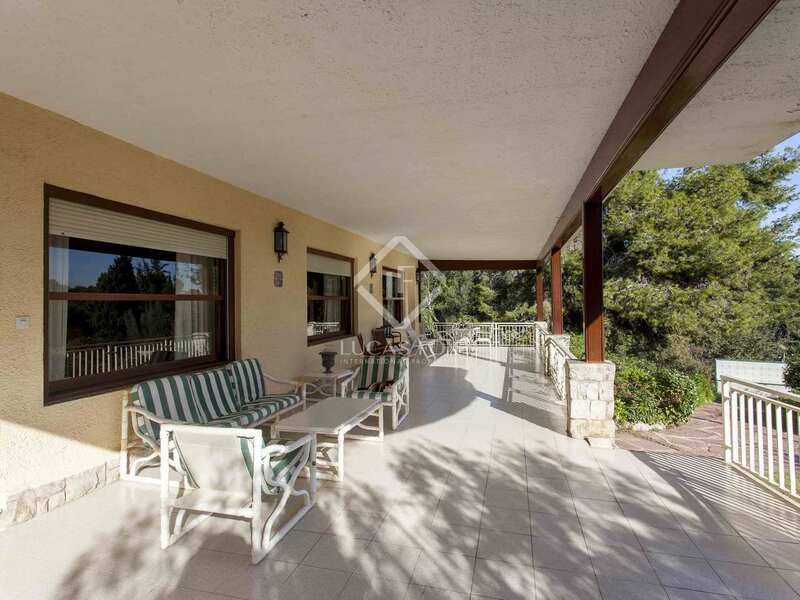 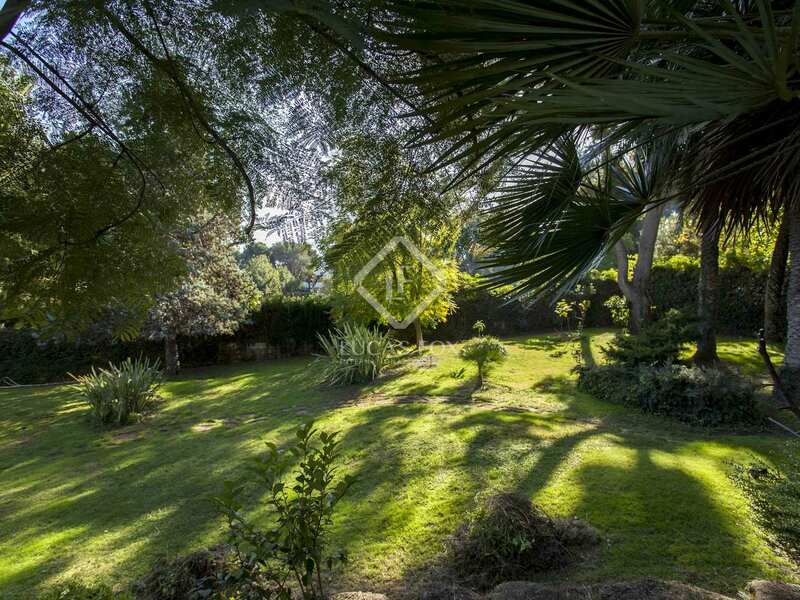 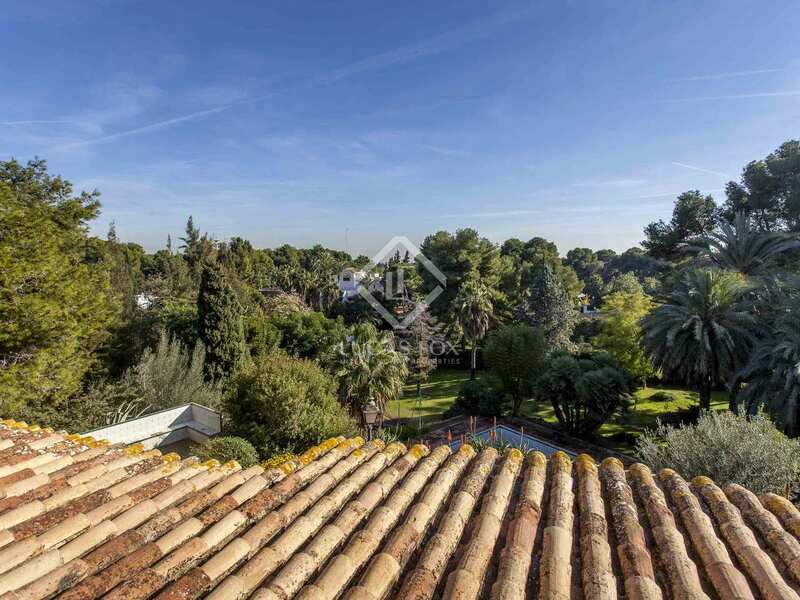 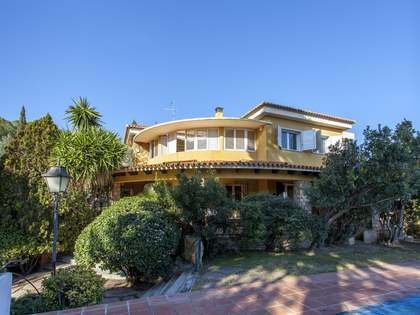 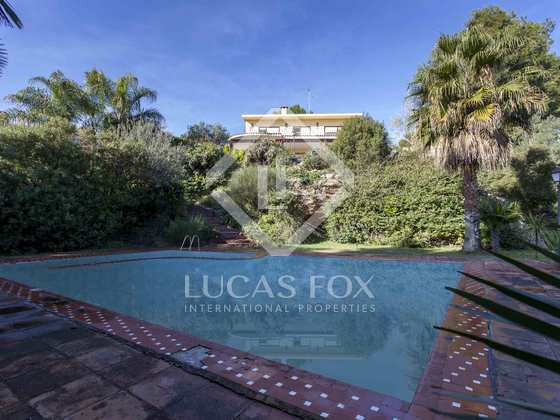 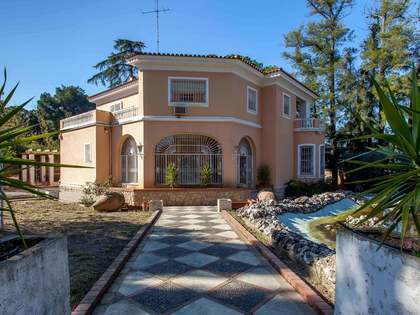 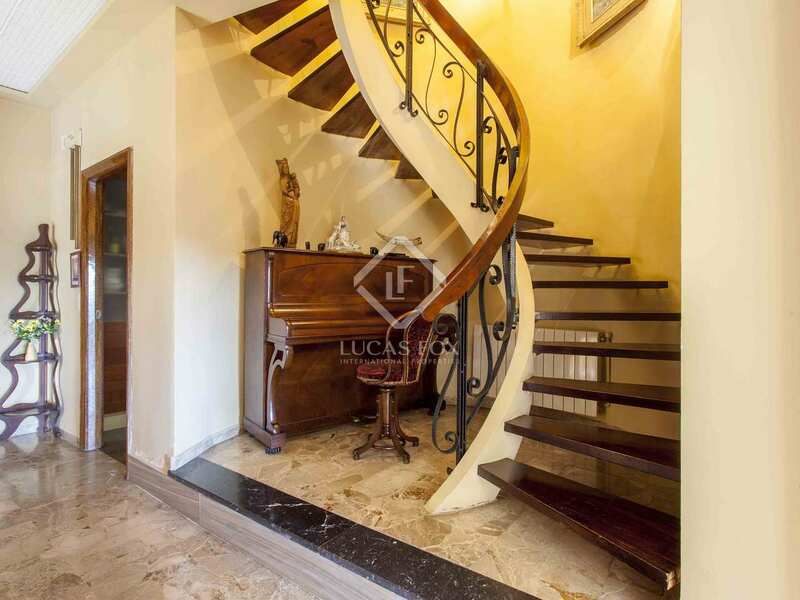 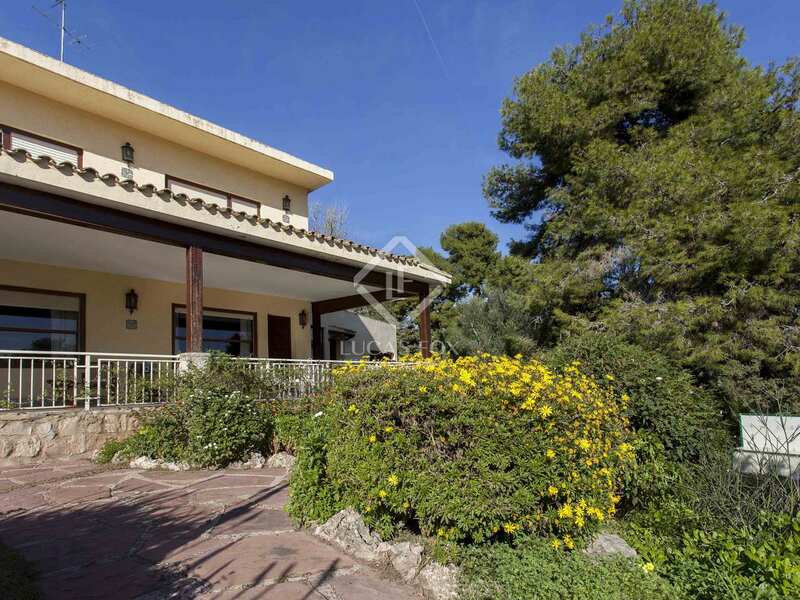 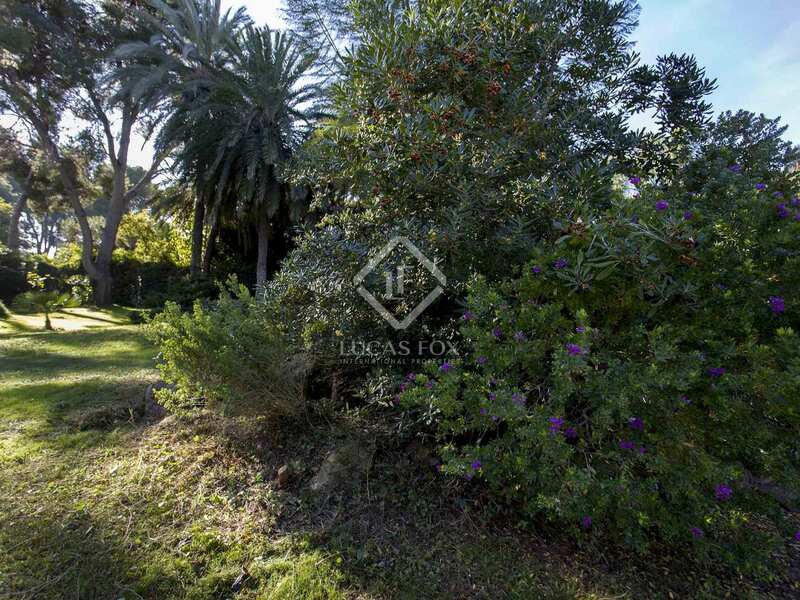 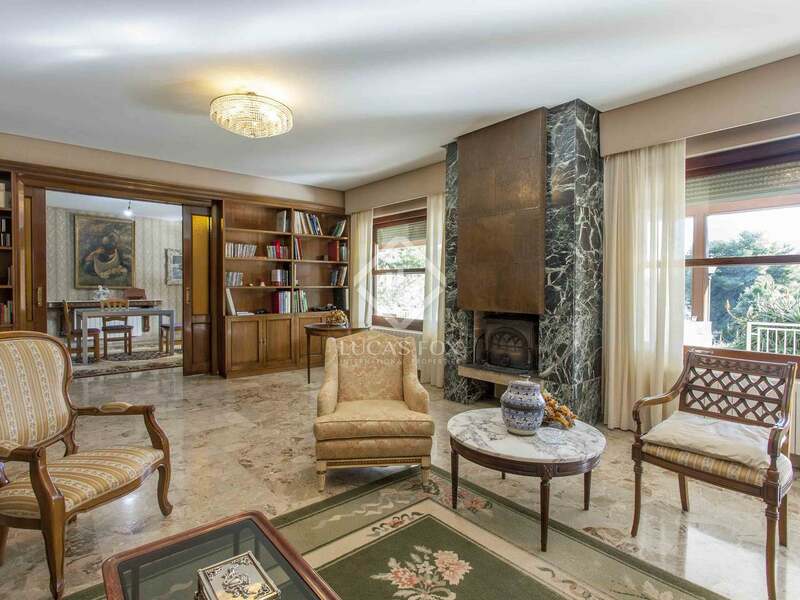 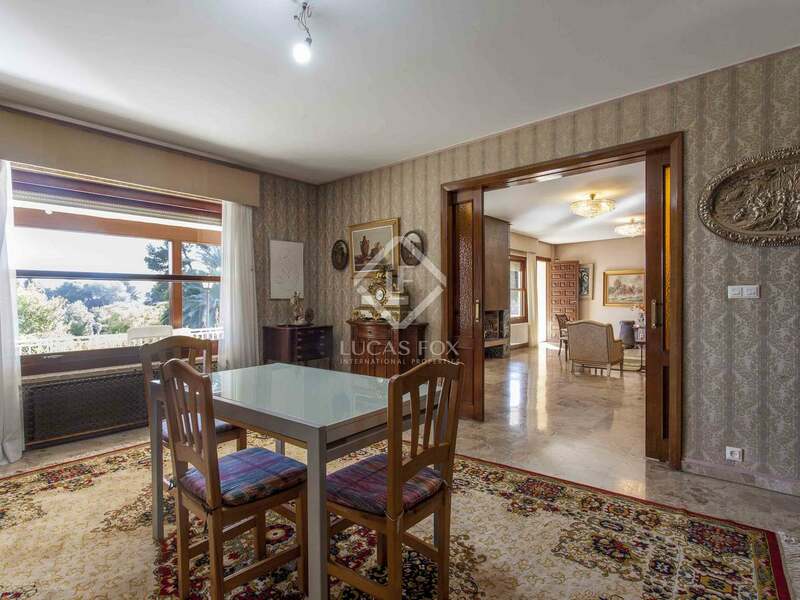 Spacious traditional style villa on a large plot with splendid views in the exclusive Santa Bárbara residential area. 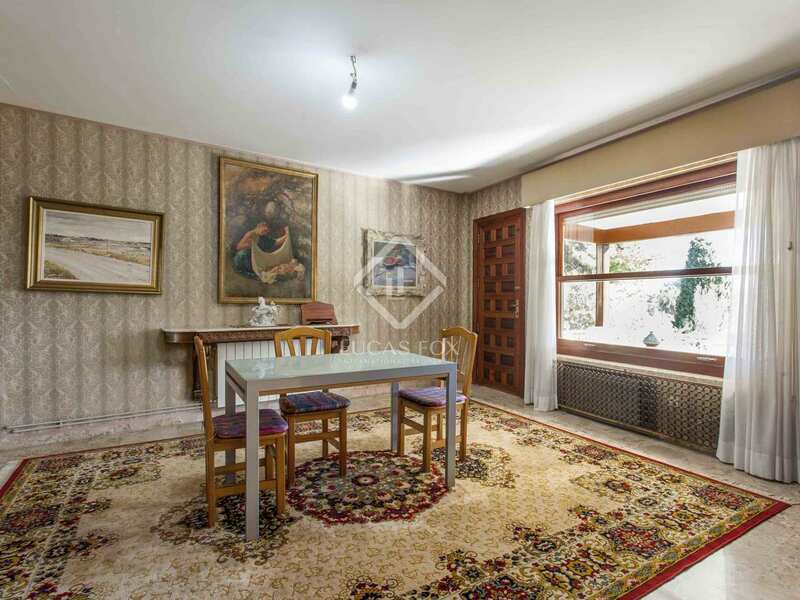 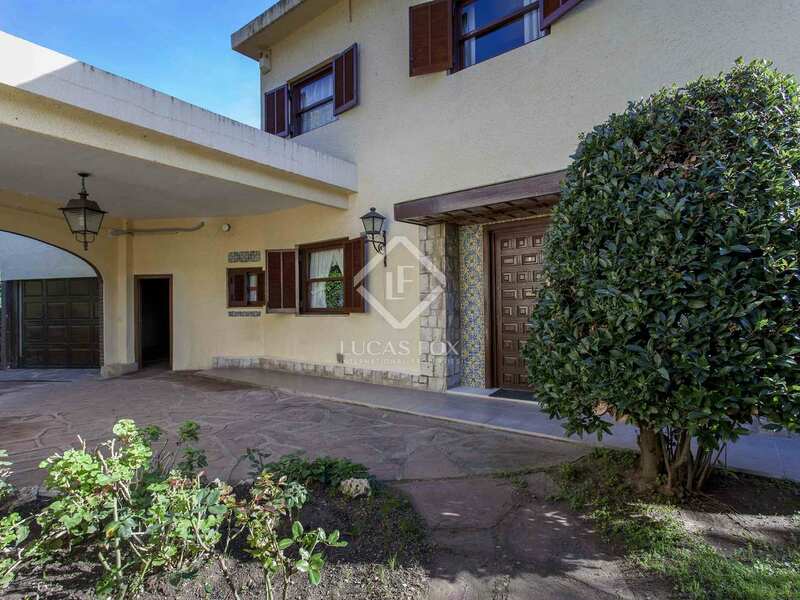 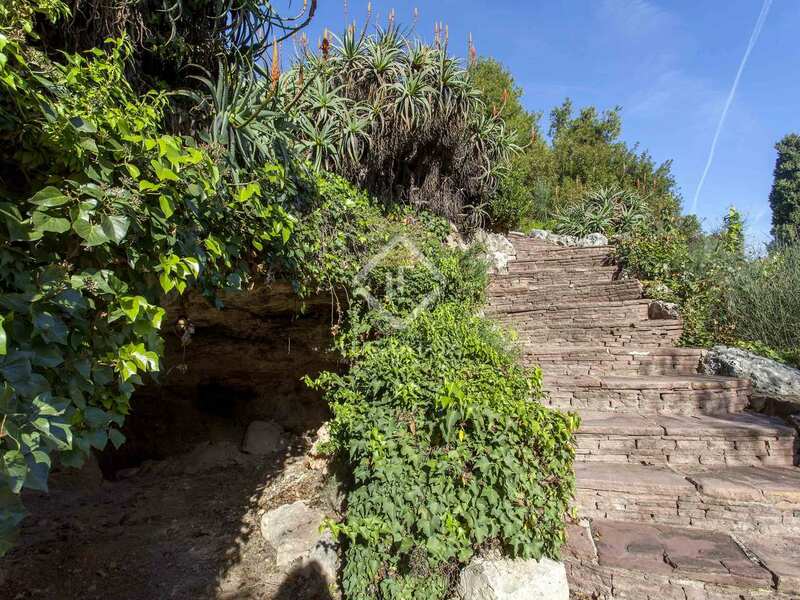 This traditional style villa with great potential for renovation is located on an unbeatable, large plot that offers splendid views and a great position for sun exposure. 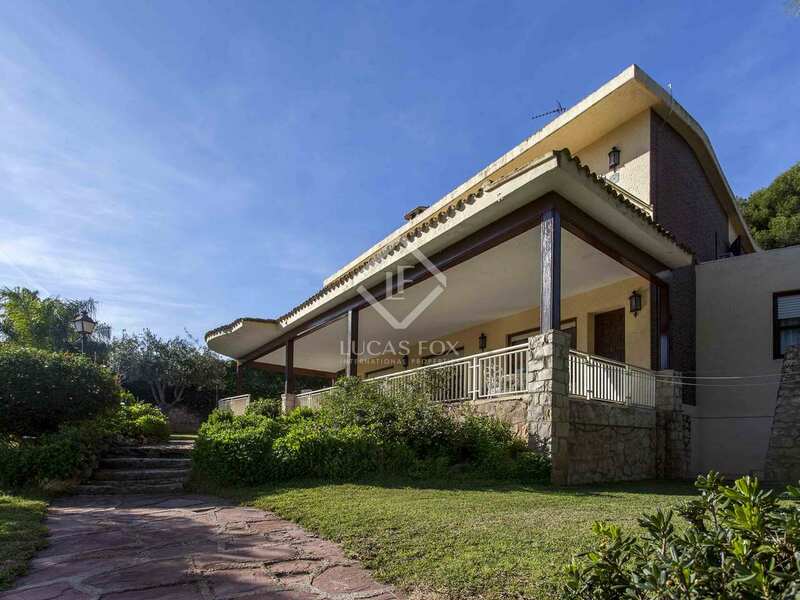 The house is on the plot, which is sloping, which gives great privacy and a greater sense of spaciousness. 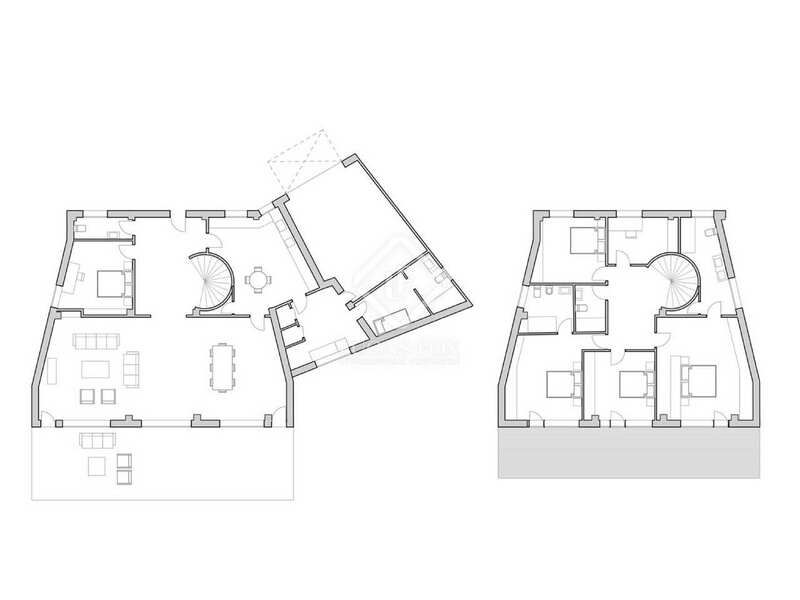 The living space is divided into 2 comfortable floors. 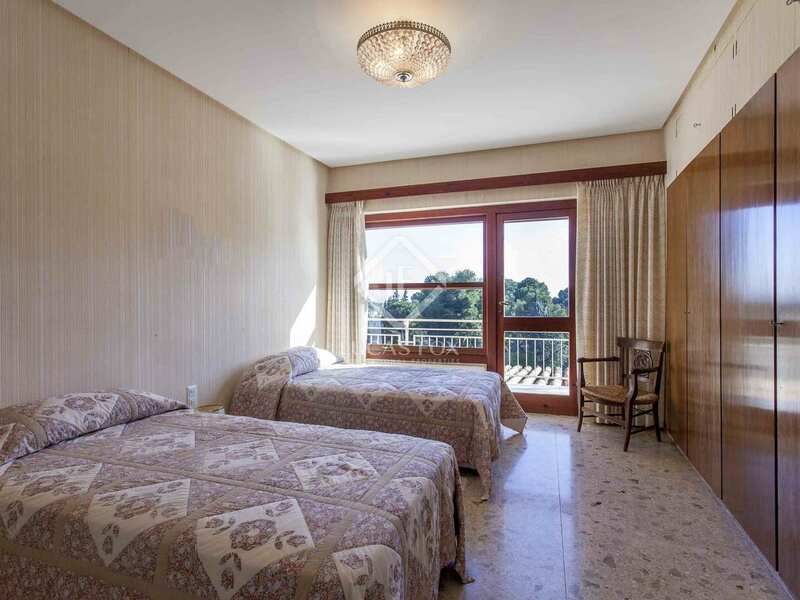 On the main floor, we find a large hall that leads to a toilet, a double bedroom or spacious office, a large renovated kitchen with a dining area, a separate laundry area with access to a service bedroom and bathroom. 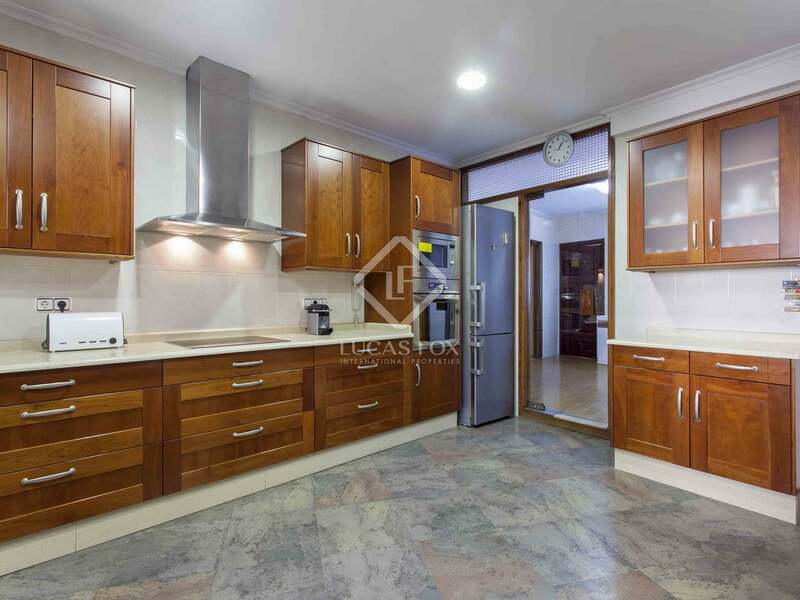 From the laundry area there is also access to the garage, creating a very practical area for staff. 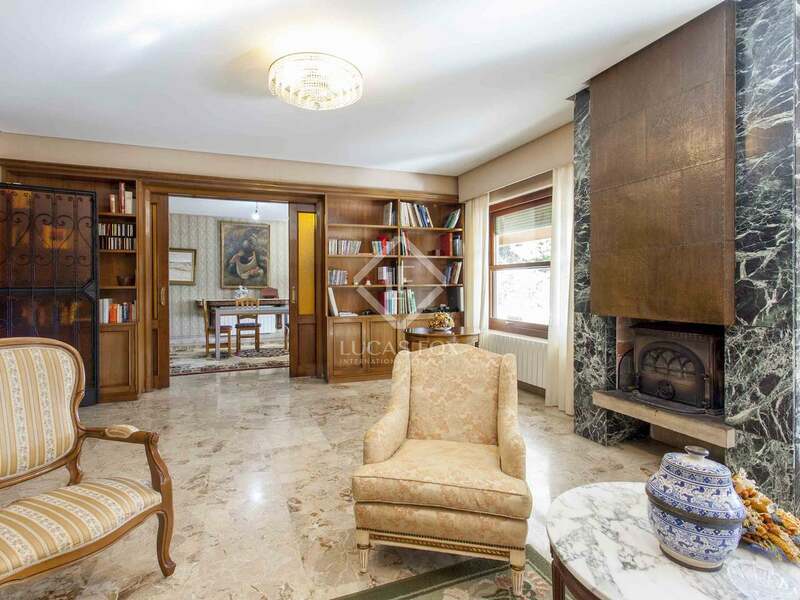 Furthermore, on this floor we find a magnificent and spacious living room with 2 distinct areas warm and flooded with natural light thanks to its southeast orientation and its large wooden windows. 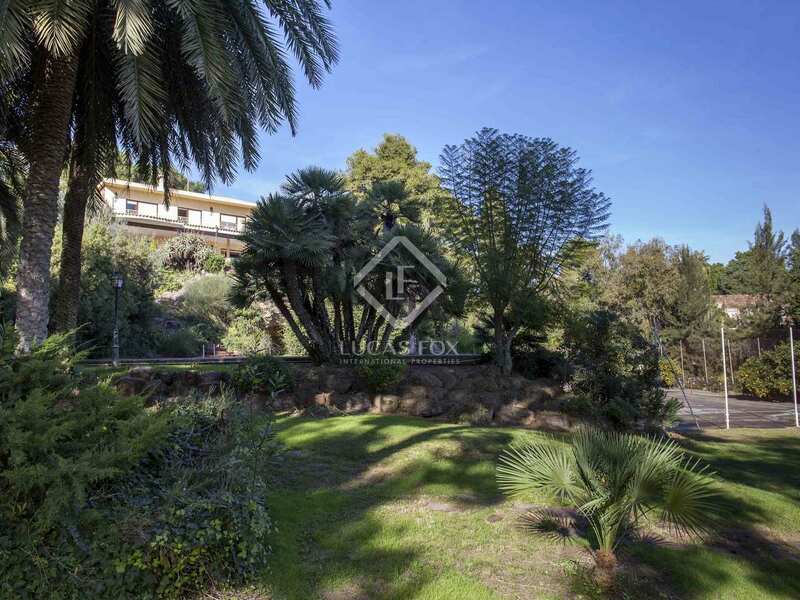 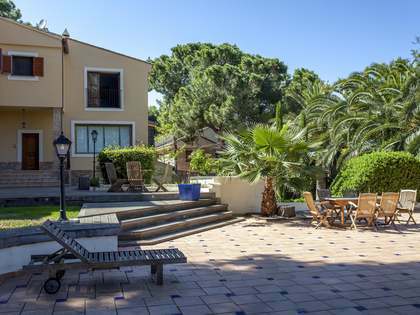 In the living area there is a lovely marble fireplace and access to the large covered terrace, from which we enjoy unbeatable views of the extensive and well-kept garden, which has palm trees, pine trees and various fruit trees with a programmed irrigation system. 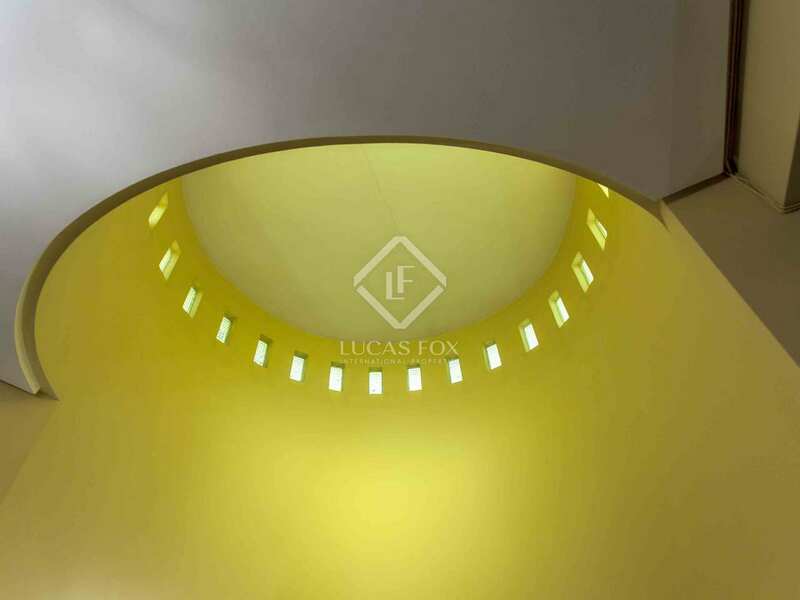 We go up to the first floor via a beautiful curved wooden staircase that receives a very special light through its glass. 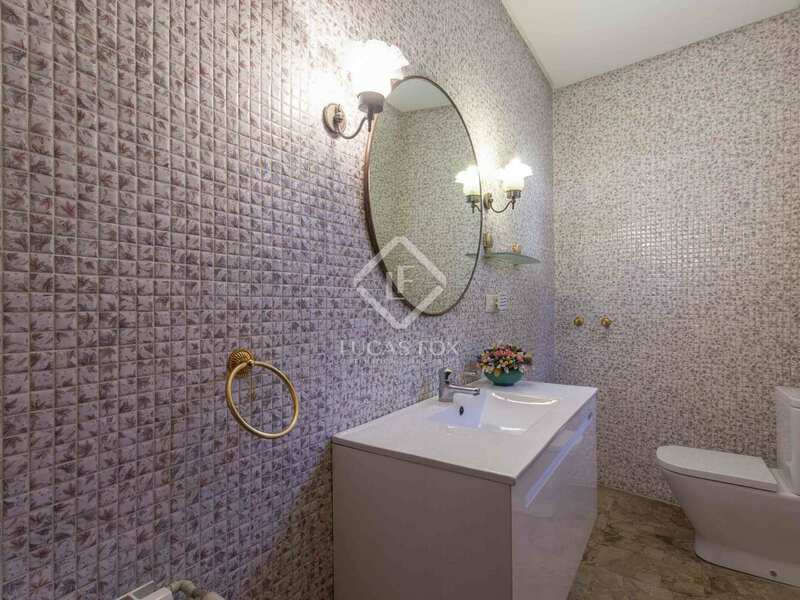 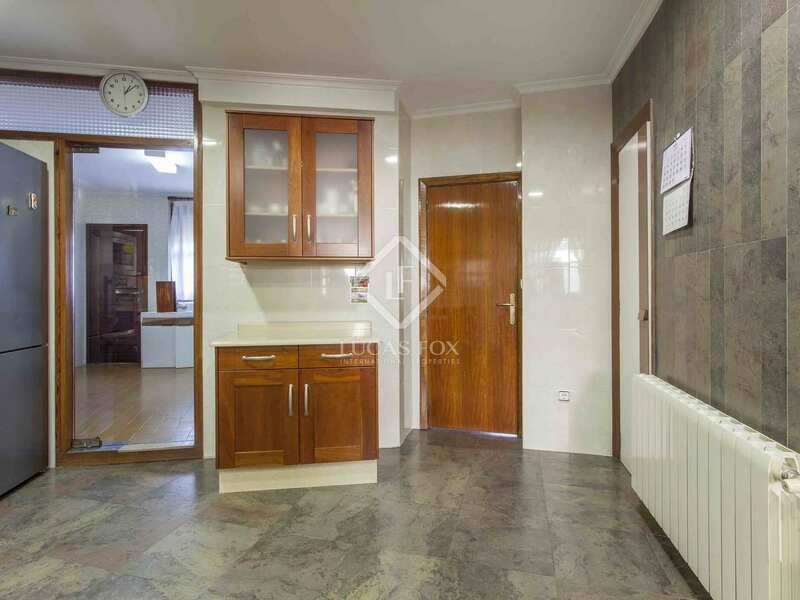 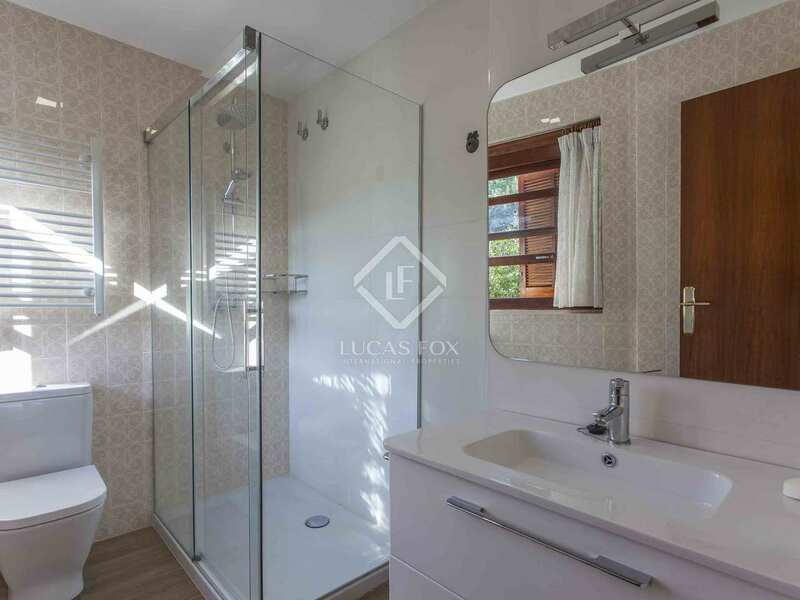 This floor benefits from 3 double bedrooms, 2 of them with private bathrooms (one of which has been recently renovated). 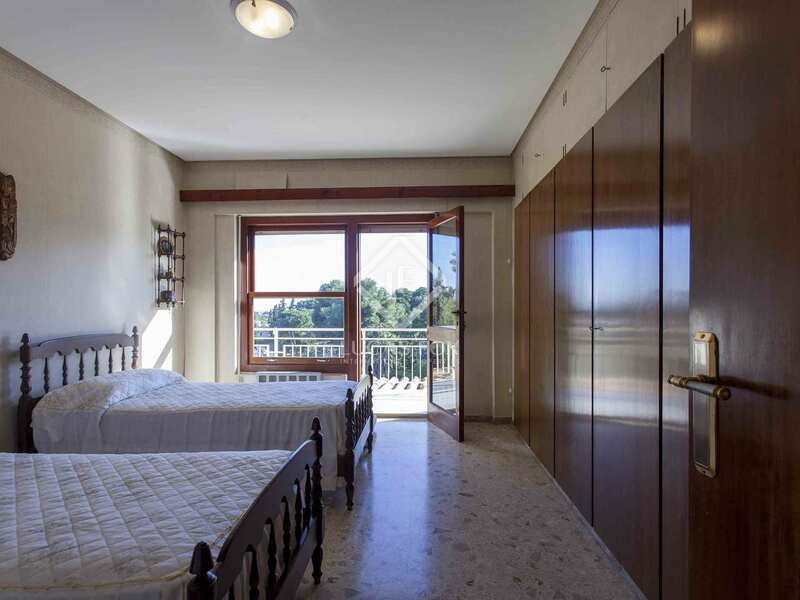 These 3 bedrooms also have access to a nice terrace with beautiful views, from which you can even see the sea on the horizon. 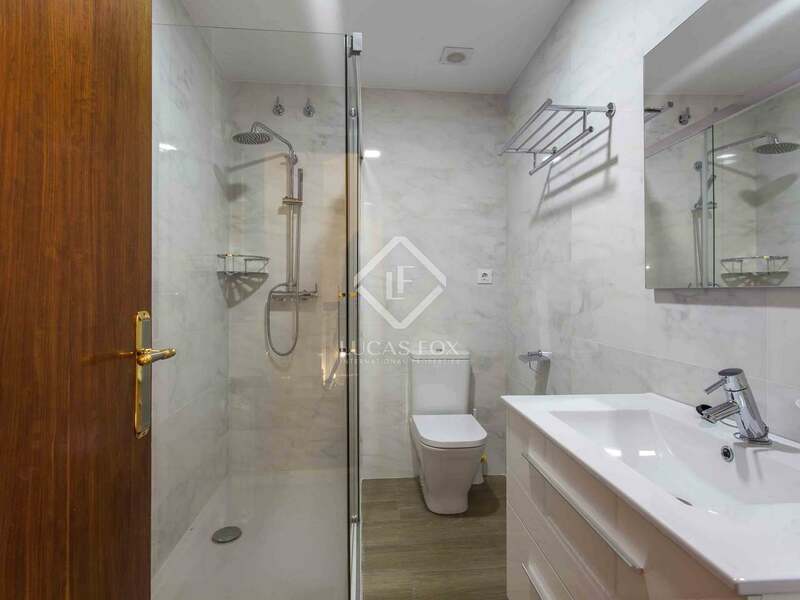 Two single bedrooms and a complete bathroom complete this floor. 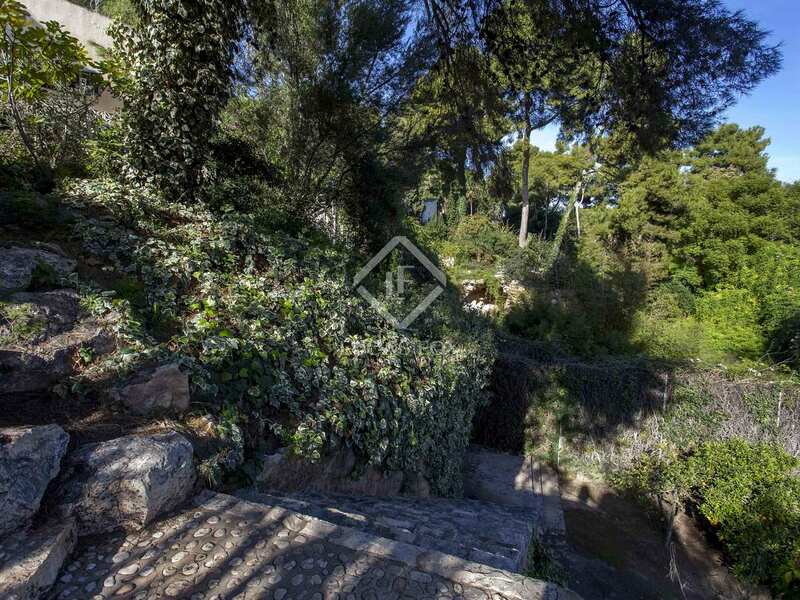 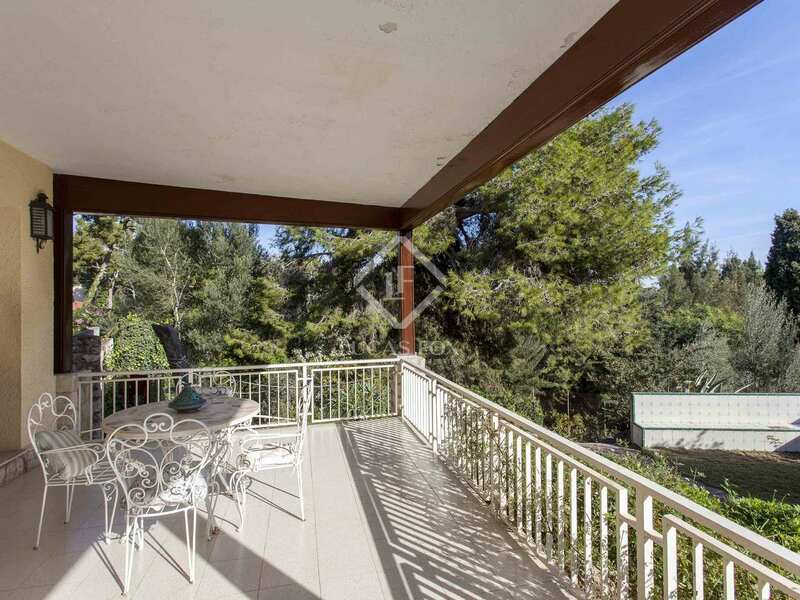 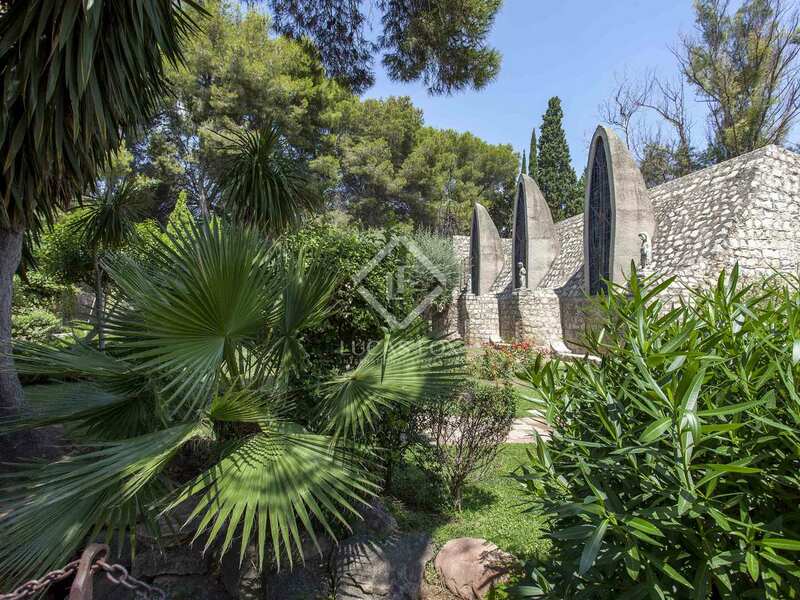 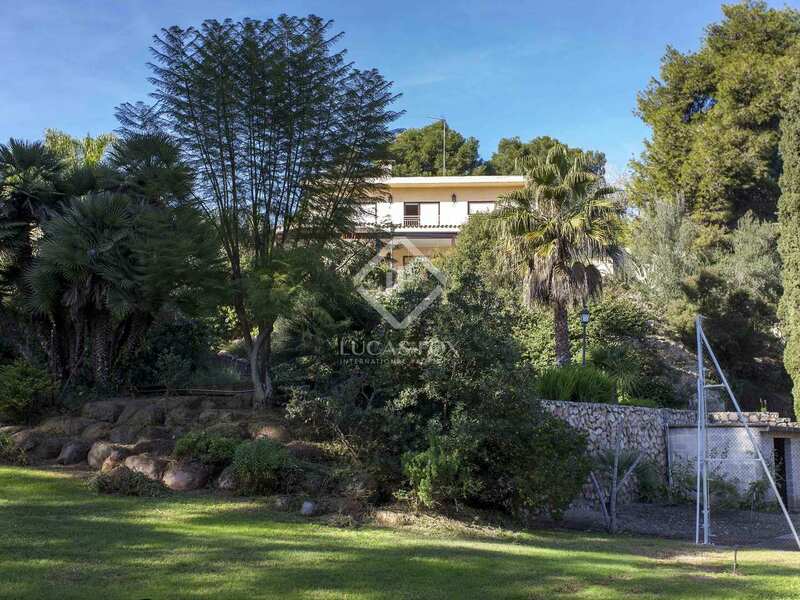 Outside, the 3,750m2 plot offers a perfectly maintained garden, a swimming pool area, a tennis court, 2 parking spaces (one of them with direct access to the house), and an independent basement with storage room and cellar. 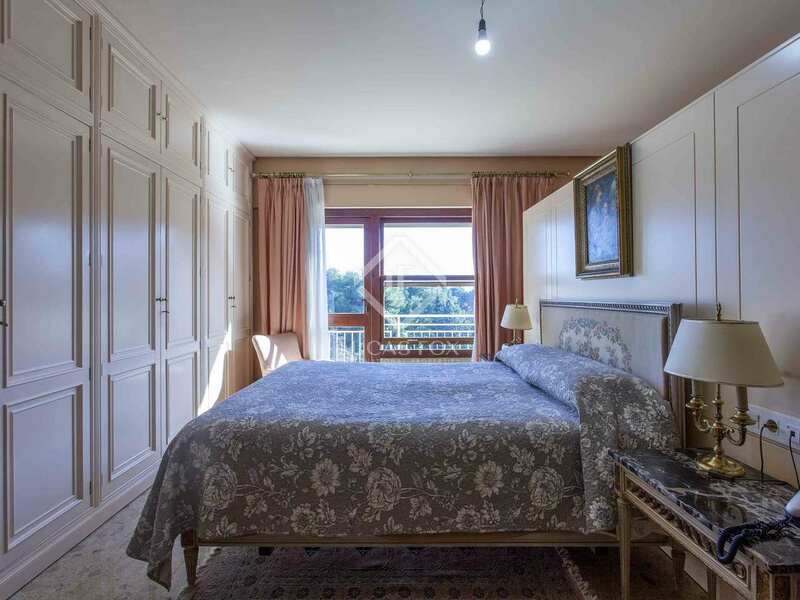 The house has a heating system by radiators and air conditioning in the main rooms to ensure your comfort at any time of year. 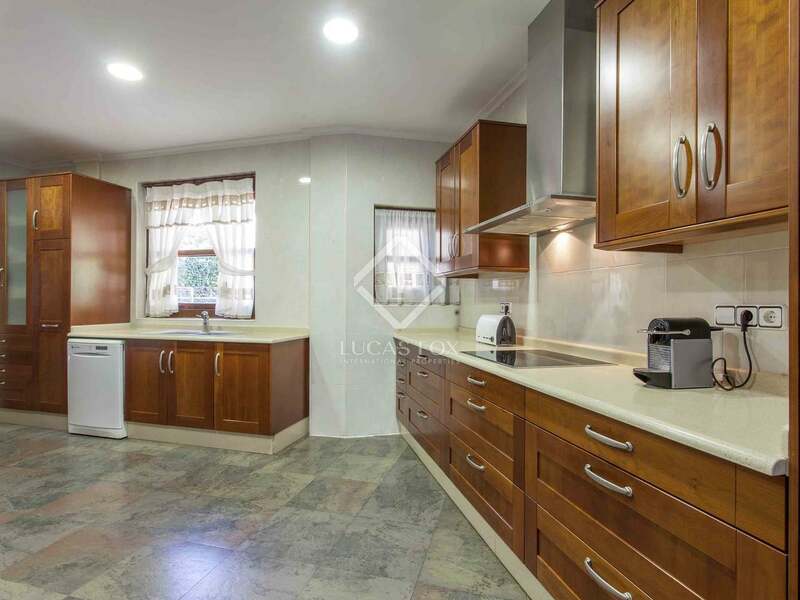 Contact us to visit this villa on an unbeatable plot. 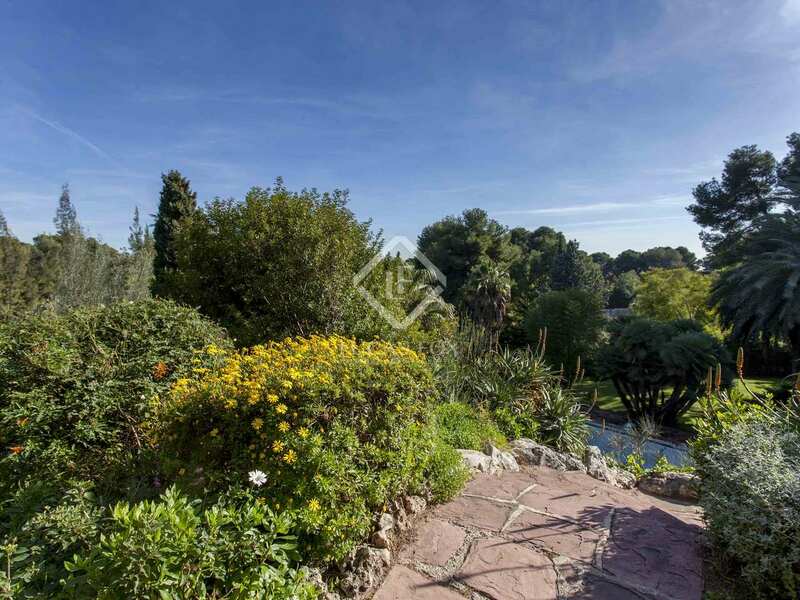 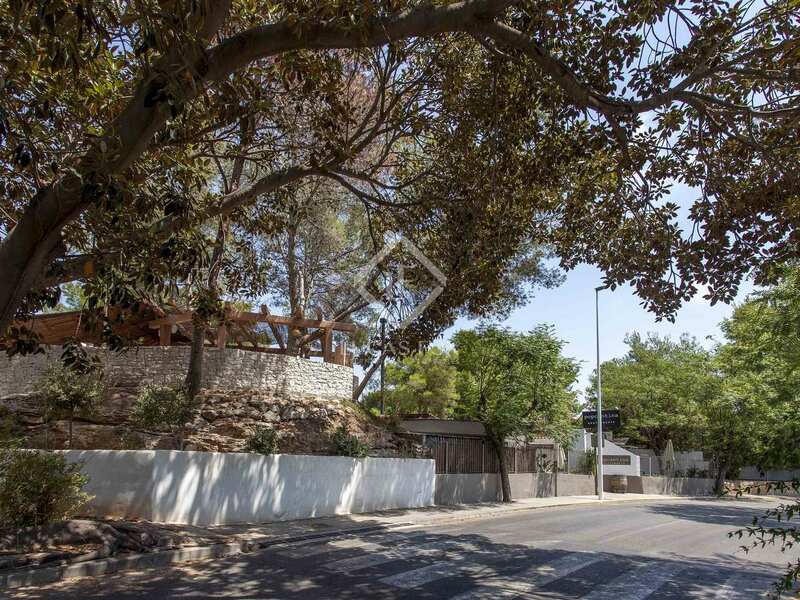 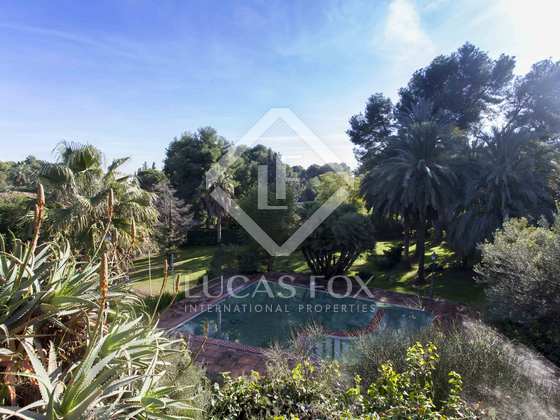 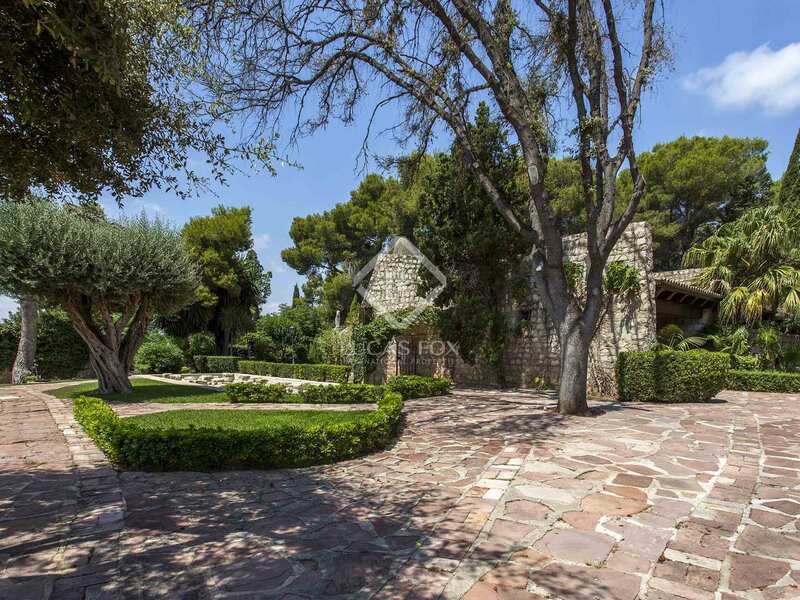 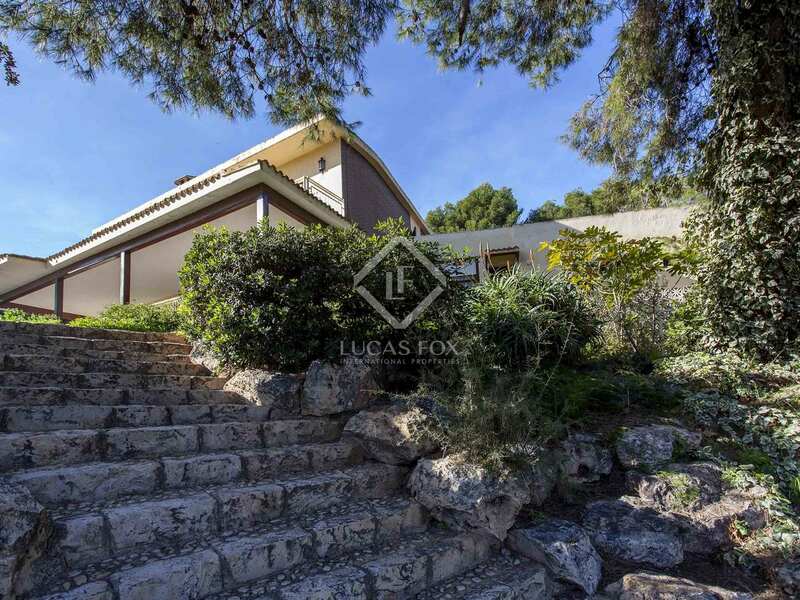 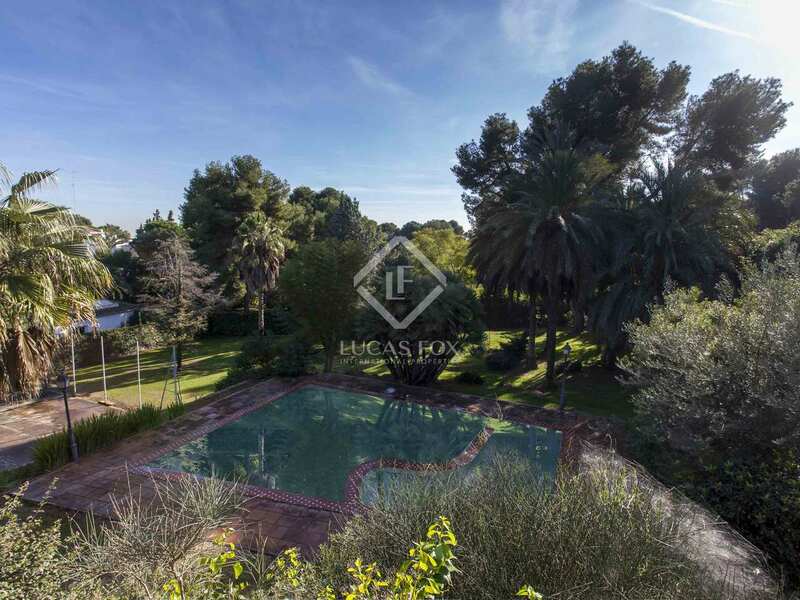 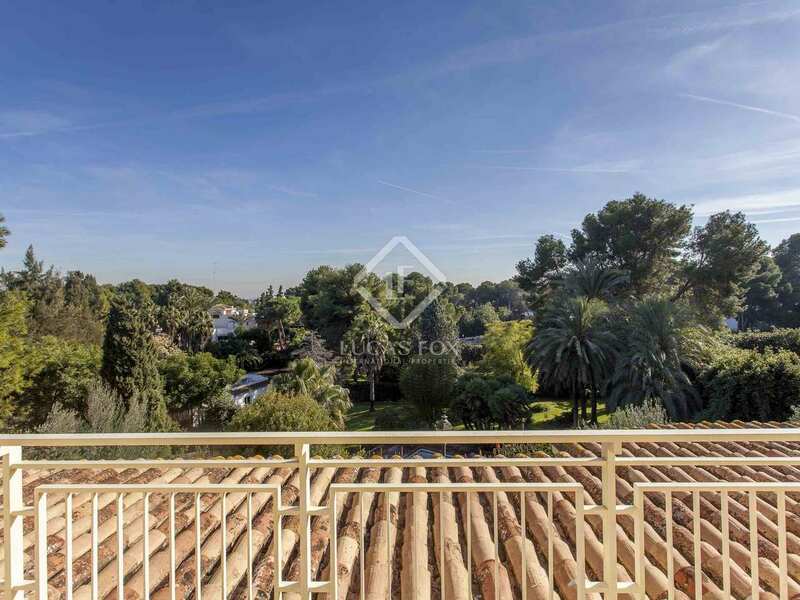 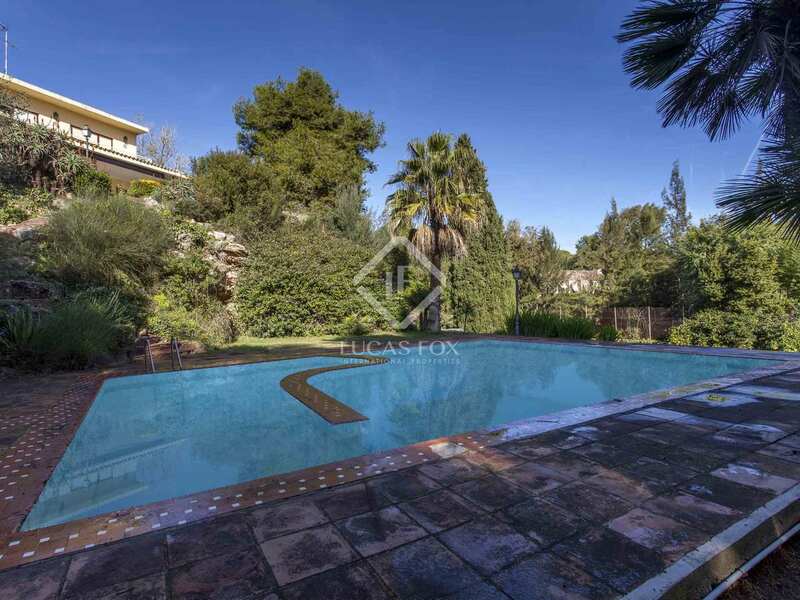 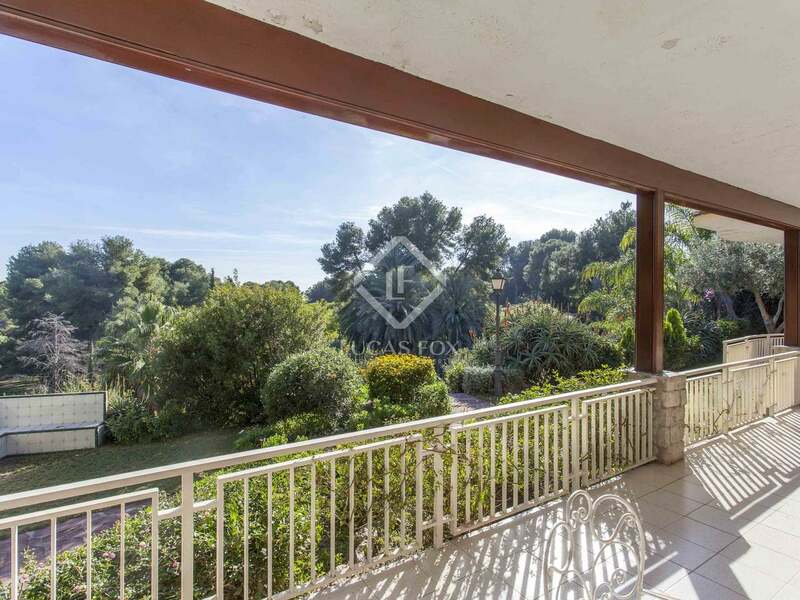 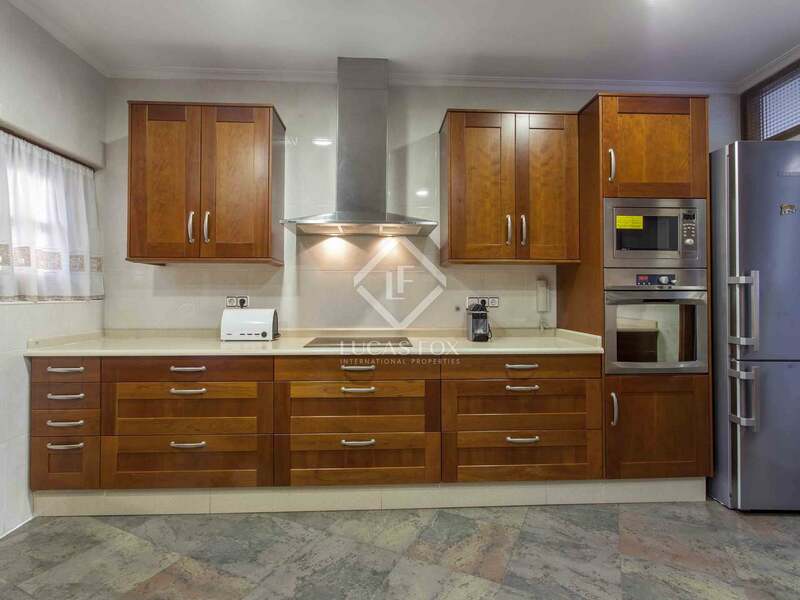 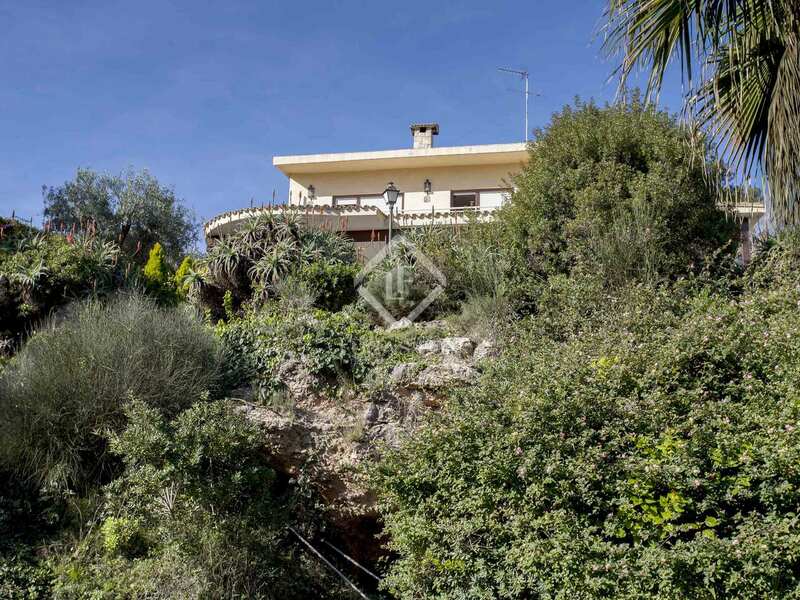 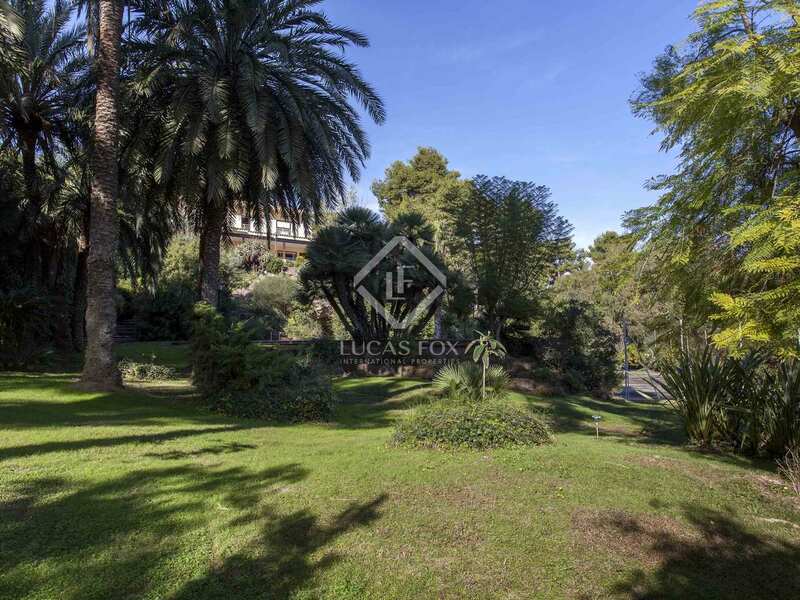 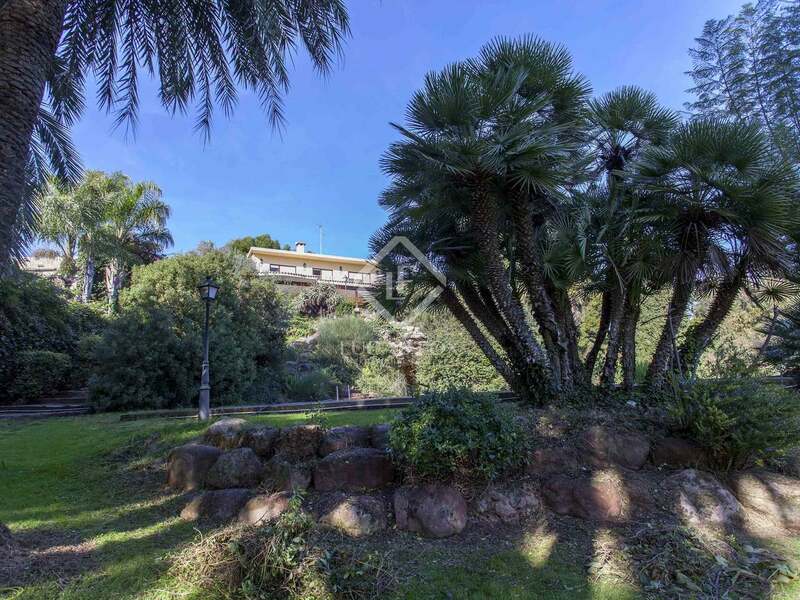 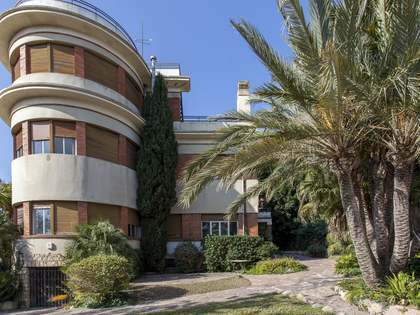 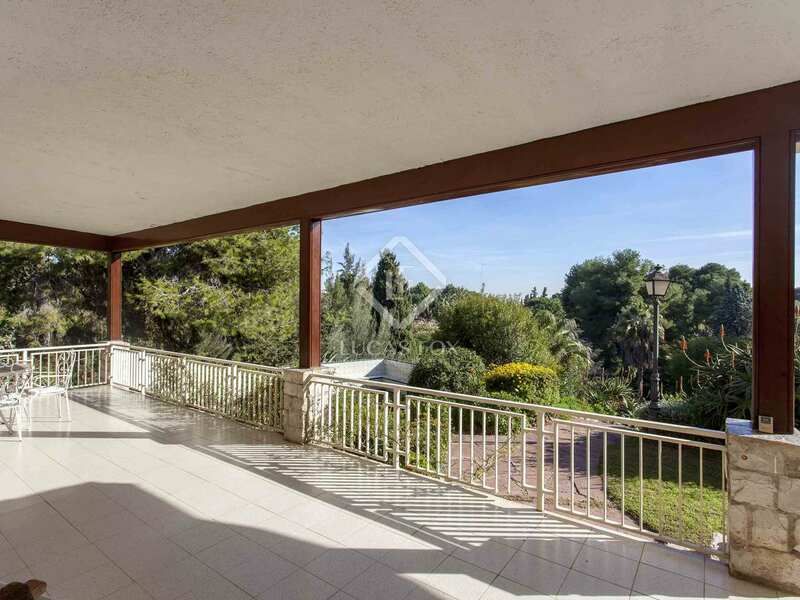 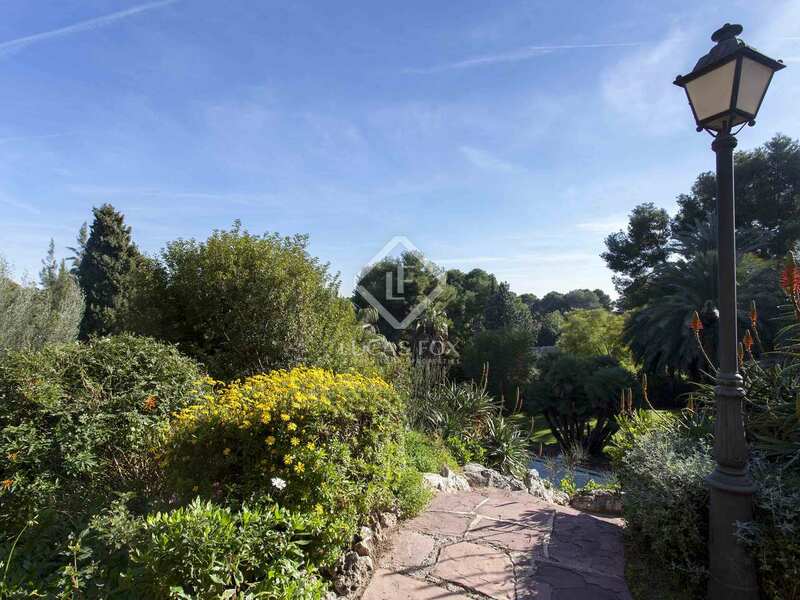 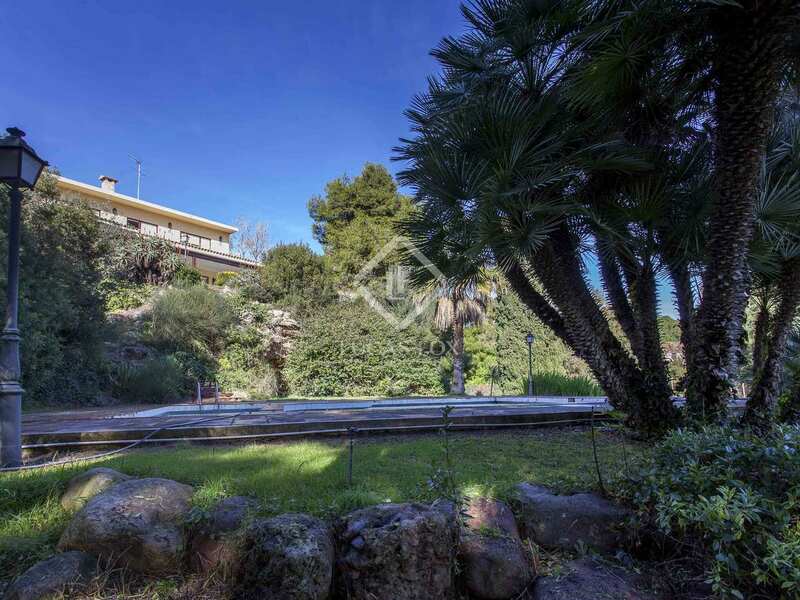 This large villa is located in the Santa Bárbara neighbourhood, one of the most prestigious residential complexes in Valencia, thanks to its privacy, its natural environment, a 24-hour surveillance service and a bus service that connects with the city of Valencia. Highlights include "La Charca", a beautiful pool built among rocks that all residents can enjoy. 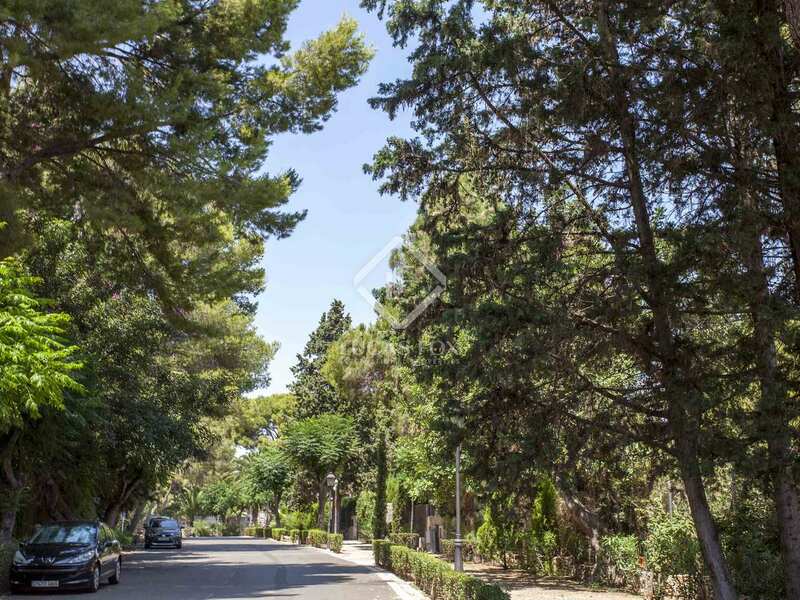 In the vicinity we find international schools, where the young ones will receive the best education.